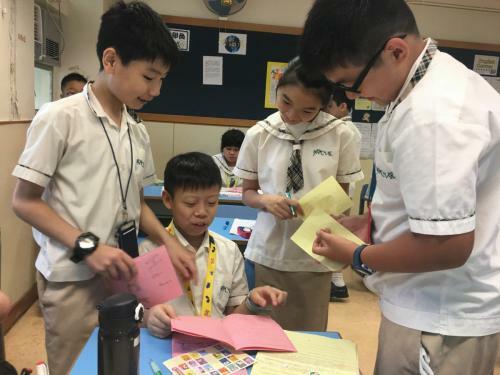 It is our aim to provide our students with ample opportunities for extending their knowledge and experience of their surroundings as well as opportunities for personal and intellectual development in the English medium. 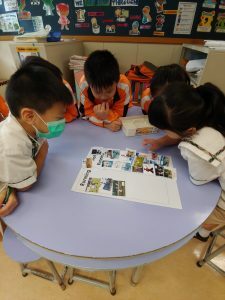 make connections to other areas of study and life experiences outside the classroom to construct knowledge and insightful understanding. 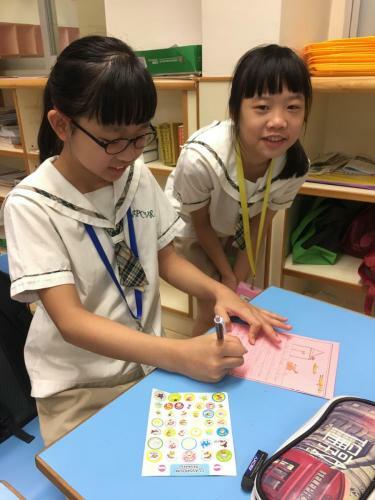 Continue to develop a positive reading culture by providing reading opportunities through Process Writing, KIP Programme , NET Reading & Writing Programme , Home Reading Programme Scheme, Doing the Announcement on afternoons and English Corner. 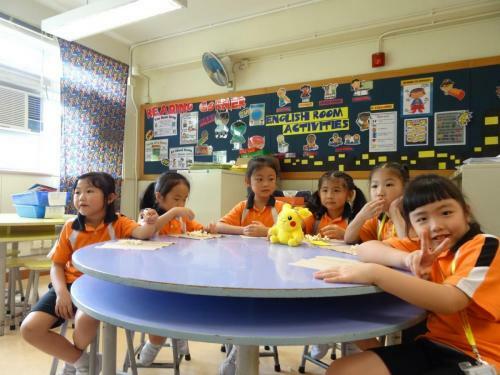 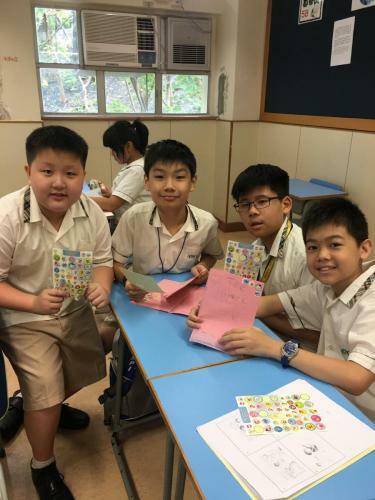 This programme aims to enhance P.3 and P.4 students’ exposure to non-fiction materials and to connect English learning to students’ everyday lives through the use of different media, e-learning, and task-based multi-sensory projects. 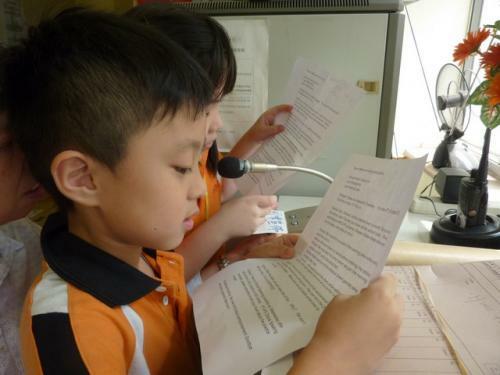 Reading and Writing Programme is a reading programme designed for students in all levels . 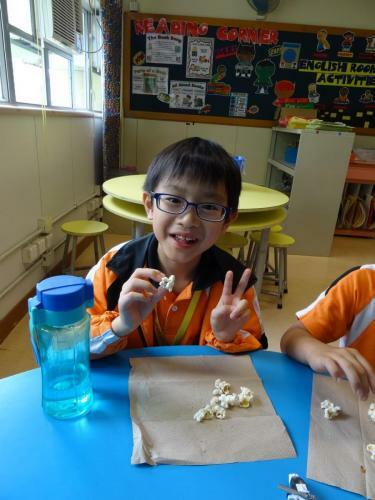 Its prime focus is on developing the necessary reading skills in our beginning learners who are just learning to listen, speak and read English, and in our intermediate students who are ready to become better readers. 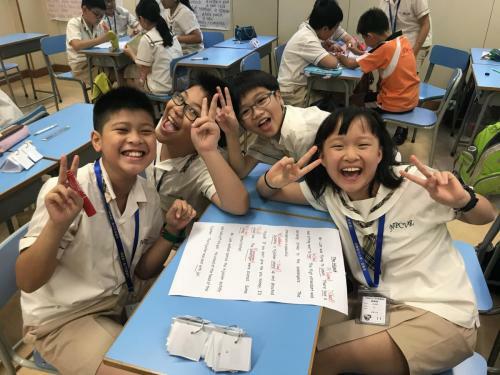 In this programme, the local English teachers and the Native English-speaking Teacher work collaboratively to design and implement lesson plans which cater to the all-around language needs of the students. 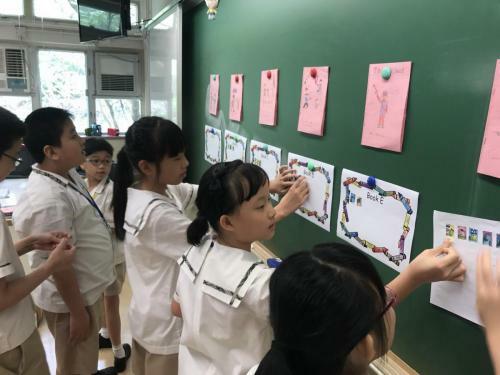 More importantly, the print-rich classroom environment and various reading and writing activities help to create a positive and meaningful learning environment for our students. 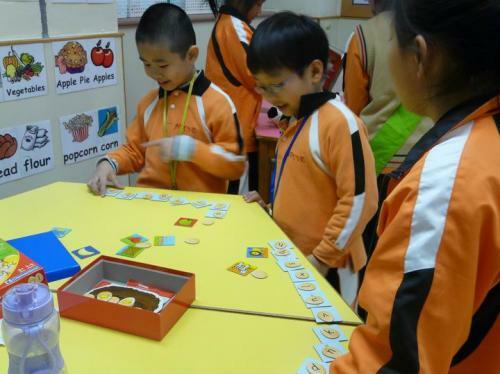 NPCVR teachers have adapted and integrated the KP Programme from the NET Section into our School-Based Curriculum. 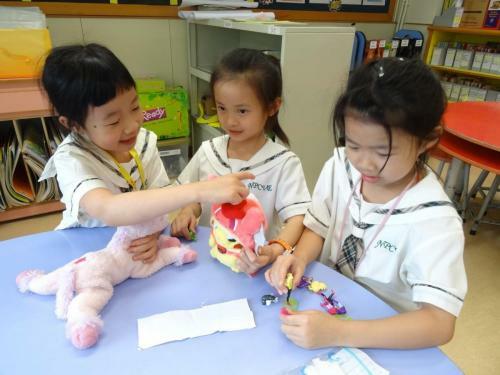 The transition has been seamless and students are able to enjoy a consistent and language-rich learning as a result. 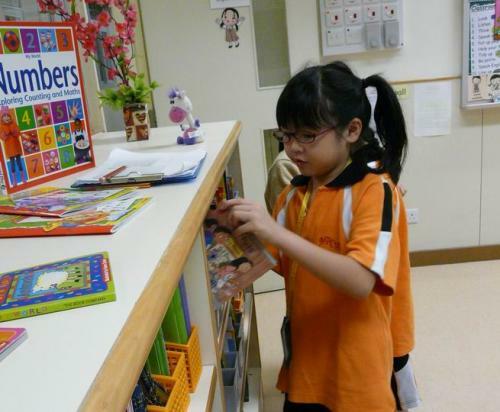 Over the years, NPCVR has seen great improvement in students’ reading levels. 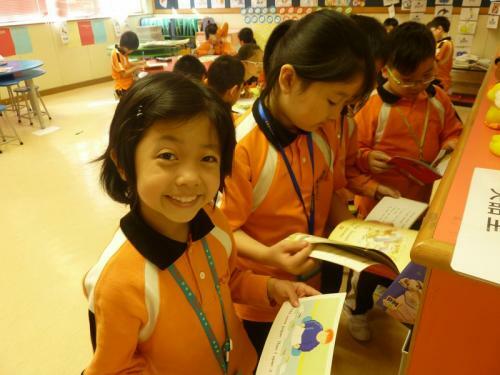 In order to enhance our students’ English reading abilities even further, students have been taking 2-3 books home to read every week. 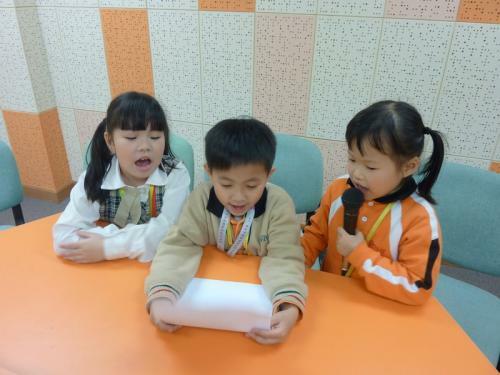 Every week, English teachers selected students from P1-P6 to do an English Announcement broadcast. 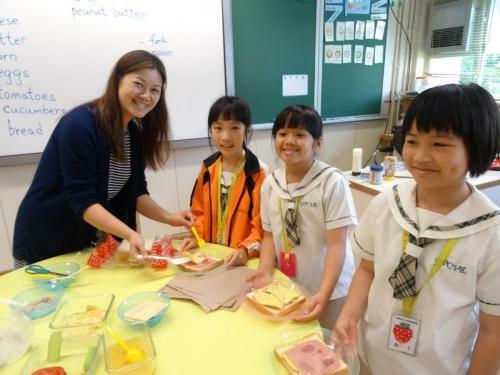 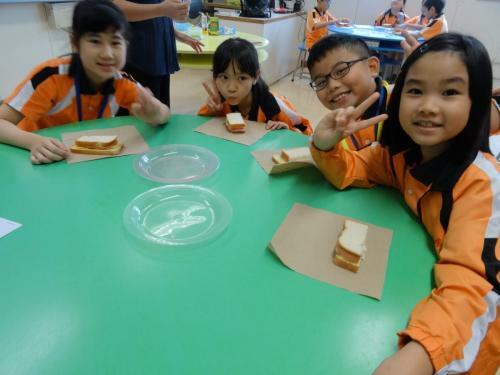 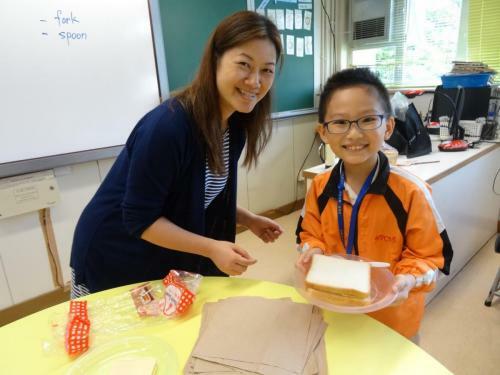 This year, the theme was “ 『3S』 – Self-motivation Self-discipline Self-esteem.” Students told stories, acted out skits, and gave learning anecdotes to their schoolmates during this time. 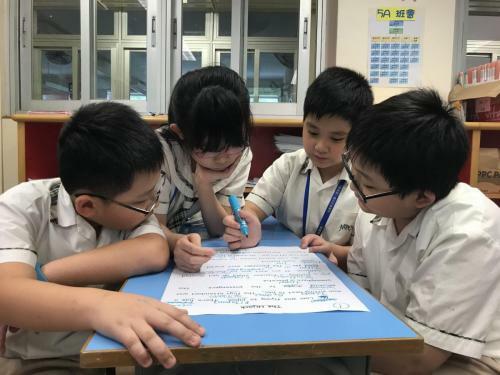 The intent of this intra-school Penmanship Competition is to encourage students to submit their best neatly hand-written copy of a given piece of writing. 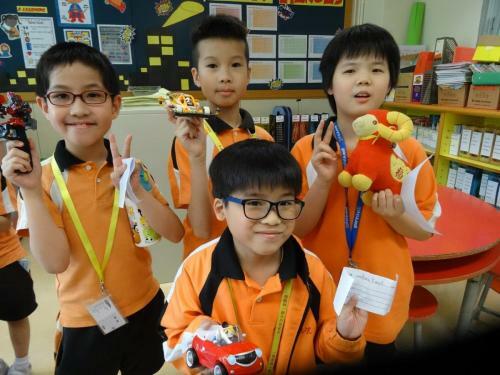 Three winners were awarded to the P.1-2, P.3-4 and P.5-6 respectively. 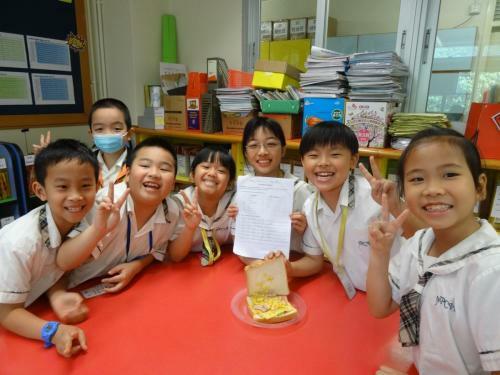 Good writing pieces were sent out to compete in the contest organized by Professional Teachers』 Union. 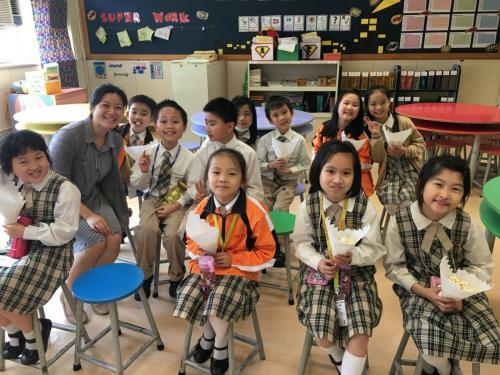 Like every other year, students from P.1-P.6participate in the Hong Kong School Speech Festival in Solo Verse Speaking and Choral Speaking. 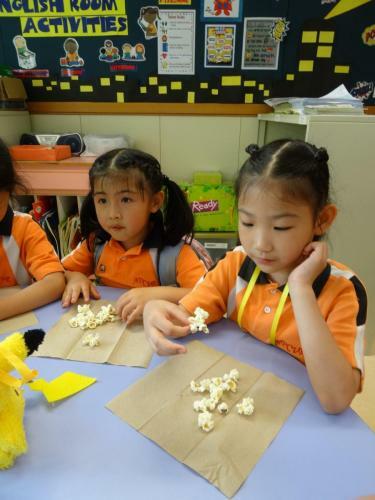 A Popcorn & Movie scheme was initiated as part of the English Department events. 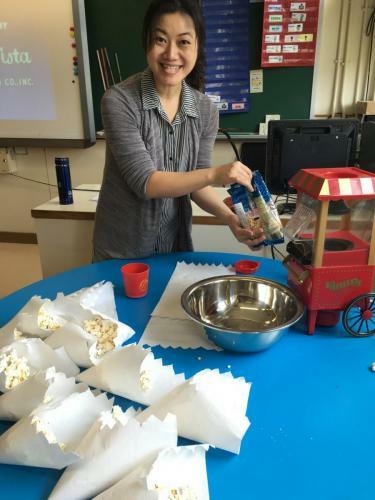 Students had the opportunity to enjoy freshly popped popcorn and an English movie if they were able to read and re-tell an English storybook to Ms. Heleina. 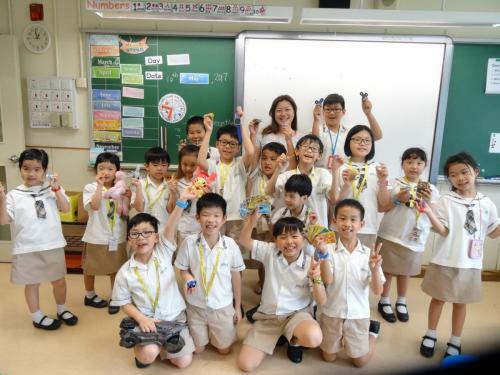 Every month, about 20 students worked hard to be a part of this scheme. 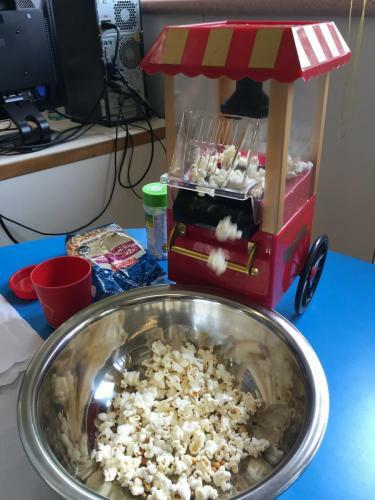 Popcorn & Movie created many happy faces and tummies! 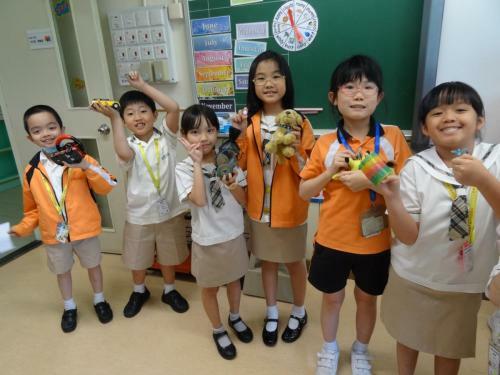 Show and Tell was added to the English Room activities this year. 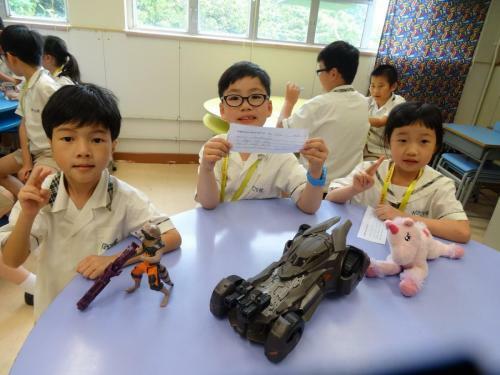 Participating students brought in toys from home to share with their schoolmates. 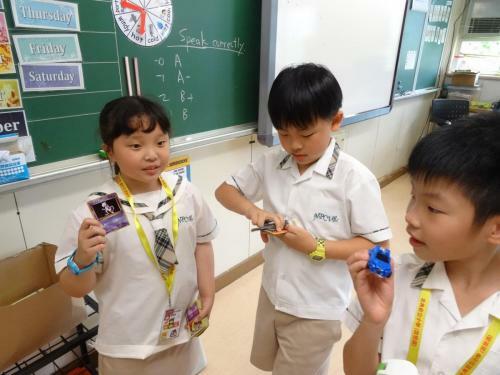 They even got a chance to play with the toys after the activity. 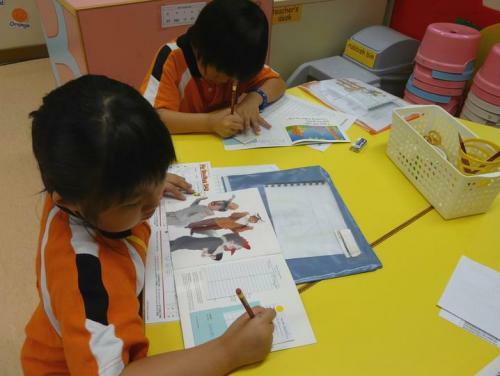 Since 2014, NPCVR started to use Process Writing as part of our Reading to Writing Programme in Key Stage 2. 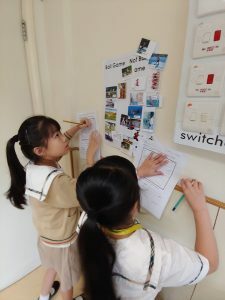 Students learn critical thinking skills through brainstorming and mind-mapping. 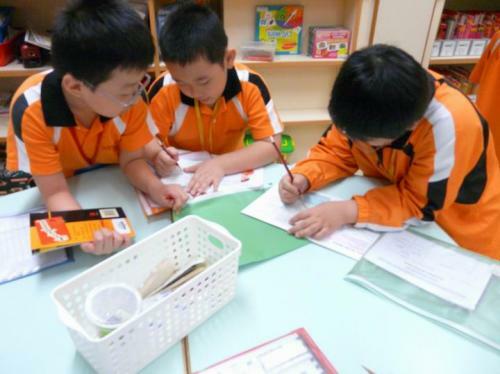 Next, they put ideas into writing in the form of a draft. 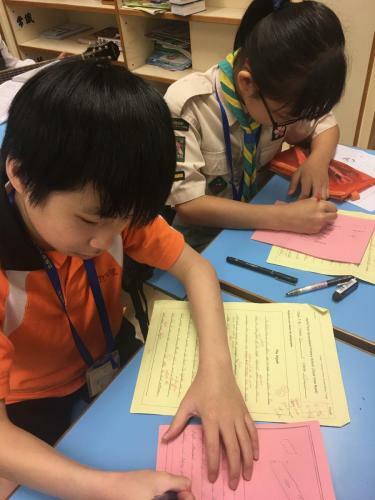 Teachers teach students some basic marking codes for self-editing and peer-checking. 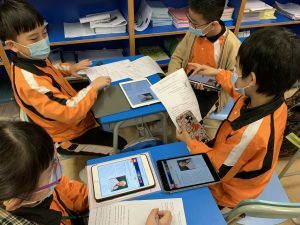 Then, students re-write and produce a final copy. 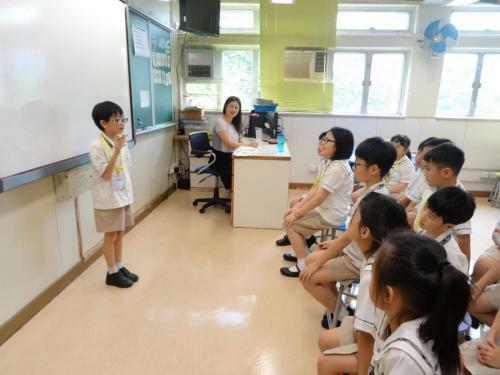 Finally, students present their work to the class and exchange constructive criticism.